Little Levi McConaughey is one cute kid! 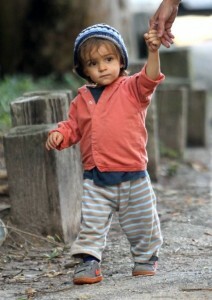 He was spotted yesterday out for a stroll with his Grandma in Malibu. The laid back tot stayed warm in bundled up in an orange button down shirt and knitted hat.